Chris Roberson (Edison Rex, iZombie) and Paul Maybury (POPGUN, Catalyst Comix) brought to life a multi-layered and intricately-plotted fantasy series on par with Game of Thrones that has drawn the attention of legions of fans in SOVEREIGN #1, which has sold out instantly at the distributor level and will be going into a second printing. SOVEREIGN #1 has completely sold out at the distributor level, but may still be available in comic stores, and is currently available digitally on the Image Comics website (imagecomics.com) and the official Image Comics iOS app, as well as on Comixology on the web (comixology.com), iOS, Android, and Google Play. Image Comics is pleased to announce that this first issue will be going back to print to meet customer demand. The second printing of SOVEREIGN #1 (Diamond Code FEB148200) will release on 4/23. 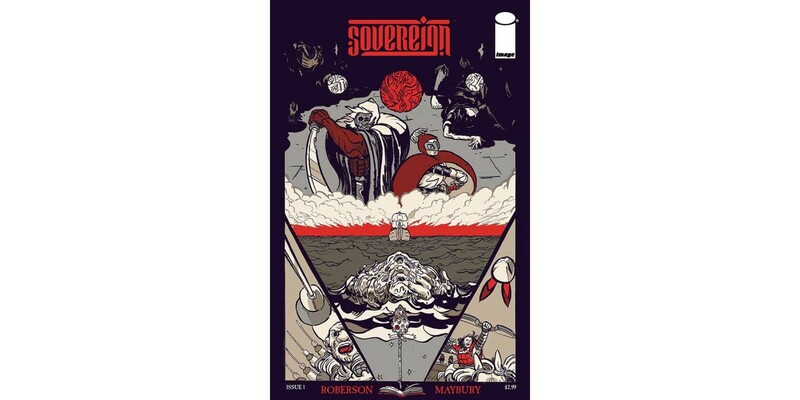 SOVEREIGN #2 releases 4/23 as well and will be available to order with Diamond Code FEB140630.